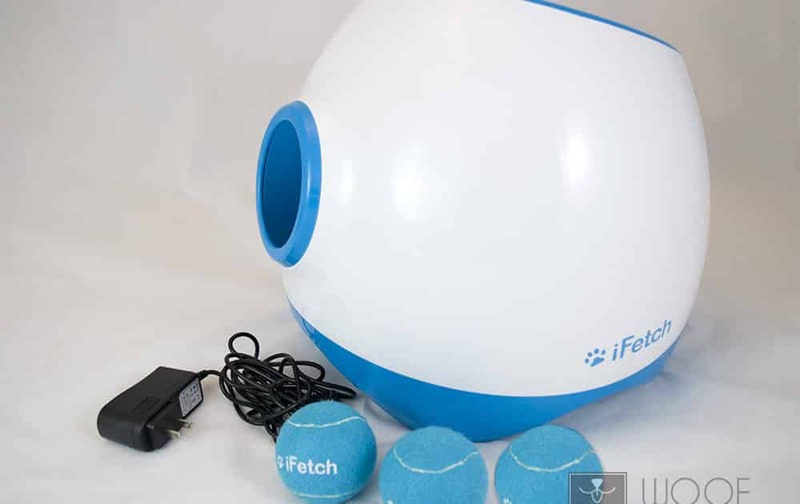 The iFetch Too features a rechargable battery and shoots full-sized tennis balls, making it an ideal auto ball thrower for people with large dogs looking to play some fetch outside. 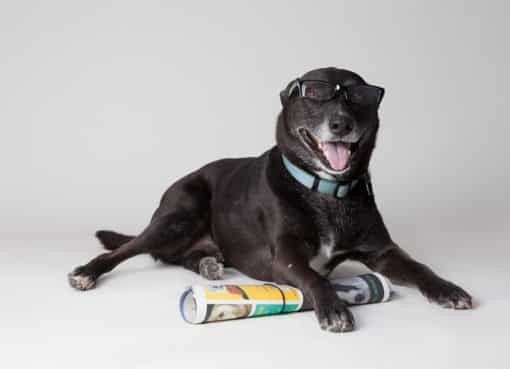 When the original iFetch Ball Launcher launched, pet owners were in love with the innovation but with a major caveat – the balls were simply too small for many dogs! The iFetch’s mini 1.5 inch tennis balls are a choking hazard for medium to large sized dogs resulting in many pups being left out of the automatic fetching fun – UNCOOL! 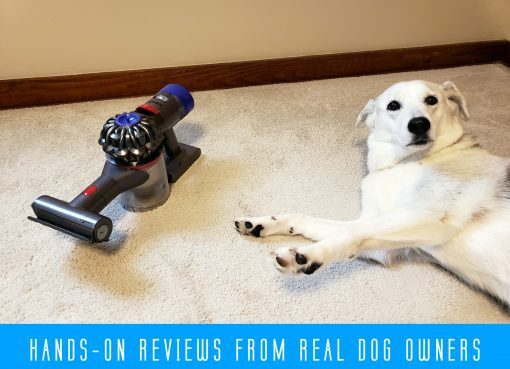 Now we’ll dive into a review of the iFetch Too, but SPOILER ALERT – it’s got the top spot on our list of the best automatic dog ball throwers. If you’re used to smaller automatic ball throwers like the original iFetch, then the first thing you’re likely to notice when receiving the iFetch Too is the size of it. Given that the iFetch Too has to launch much bigger and heavier tennis balls, it requires more powerful components. 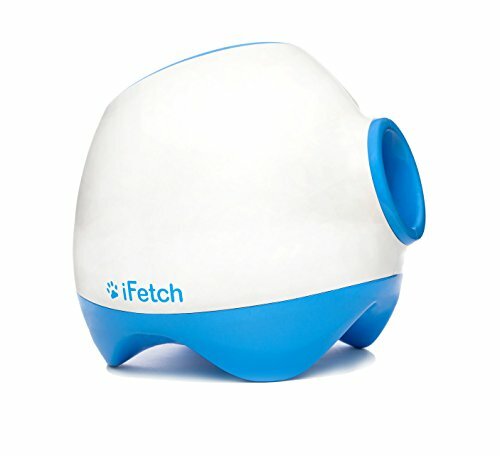 The Too weighs about 12 lbs, whereas the original iFetch weighs only 3 lbs. The Too is roughly three-times the size of the original as well. There’s no need to assemble anything once you unbox, simply plug it in and you’re set to fetch! Similar to the original iFetch, the Too has a really cool and unique outward design. Everything is smooth and curved so much so that it really looks like a sculpted work of art, rather than a piece of cutting-edge technology. It’s completely set apart from the rest of the ball launchers on the market. On the top of the unit, you’ll see the large funnel-like opening where you or your dog can easily drop a ball into. You can also see at the top of the funnel, there’s an indented handle built into the unit. This handle comes in extremely helpful when you need to move the Too around, so it’s a very well thought out design feature. Distance slider. Keep this in the down position (so white is showing) in order to lock the distance to the low setting (10 feet). This is ideal if you’re playing indoors. Sliding it up so it shows Red means all distances are available. Power Button. This turns the unit on and displays the battery status. If it is Green, it means the battery is charged. Orange means the charge is getting low, or the battery is recharging (if plugged in). Red means the battery is very low, and Flashing Red means the battery is too low to function. Distance status lights. You’ll notice a series of three small dots above the power button that are used to indicate how far the iFetch Too will launch a ball. One dot lit means 10 feet, two means 25 feet, and all 3 means 40 feet. If only 1 dot is lit but it’s flashing, that means the Too will shoot a random distance each time – perfect for keeping your dog guessing! 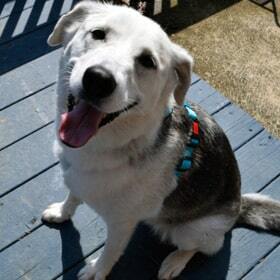 One big feature of the iFetch Too is the built-in rechargeable battery. From a full charge, you can get approximately 250 launches, so the battery life is excellent! As we stated earlier, you can get up to 250 launches from a single full charge which should be enough for even the most energetic pooches. The unit charges via the AC adapter included, and it takes about 3 hours to fully charge the thrower. The adapter plugs in at the bottom of the unit, and the cord isn’t very long so for outdoor use you may need to use an extension cord. Being battery powered, you are free to take the unit outside to use but be sure to bring it inside when done so it doesn’t collect any moisture from rain or dew overnight. In the event that your unit does get wet, it is made to drain water from the bottom of the unit. You’ll need to let to dry for a day or two though before you use it again, or you could risk damaging it further. The iFetch Too can also be left plugged in at all times if you are always near an outlet. It won’t affect the performance of the unit at all. The big reason why you’re likely here is that you have a medium to large size dog that needs to use standard sized tennis balls instead of small balls. In the below image, you can see how the three iFetch balls that come with the unit stack up against a standard tennis ball – nearly identical size! 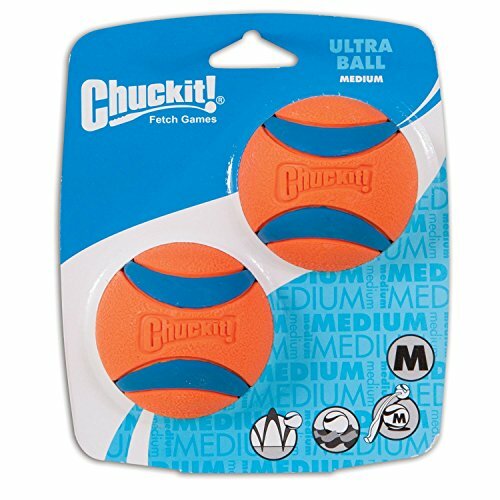 iFetch says that the Too will work with balls around 2.5-2.7 inches in diameter, which includes regular tennis balls and many other dog balls such as Chuck It medium sized balls. This is a pretty big advantage over the smaller ball launchers which use ball sizes that might make it more difficult to find alternative brands for replacements. Many people want to know how quickly the iFetch Too launches balls. The answer is that it depends on the distance you have selected, and it is not customizable. For example, you can’t set a 5 second delay from the time the ball drops in to when it fires. When a ball in dropped into the chute, the unit will detect the ball and hold the ball for a moment while the firing wheels start spinning up. Once the wheels spin up to speed, the Too will drop the ball the rest of the way down the chute, and it will then be fired from the unit. As a result of this system, when the ball is dropped in for the lower distances, it will shoot out faster than when it is dropped in for the longest distance. In our testing, we found the advertised distances of 10, 25, and 40 feet to be very accurate, counting how far the ball rolls. Overall, the iFetch Too performed very close to their claimed distances and was also very reliably clumped together. This means it gives you consistent throws and likely means it’s made with more durable and reliable components for the long run. All things considered, we find the iFetch Too to be the cream of the crop when it comes to a full sized, automatic dog ball thrower. 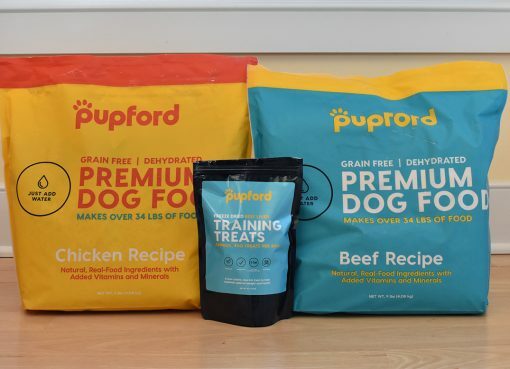 Though there are other models on the market that have more features than the Too, it brings the perfect mix of reliability, style, and performance that makes this our go-to launcher for medium to large dogs.